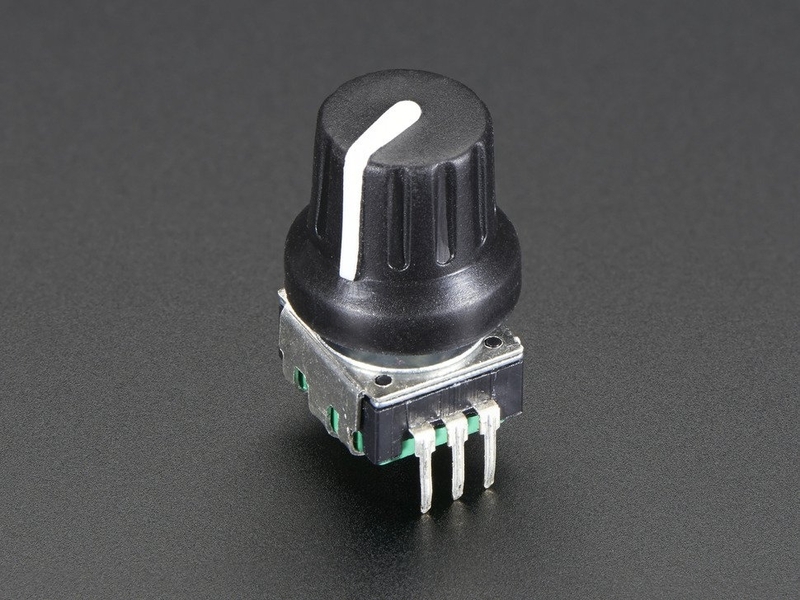 This rotary encoder is the best of the best, its a high quality 24-pulse encoder, with detents and a nice feel. It is panel mountable for placement in a box, or you can plug it into a breadboard (just cut/bend the two mechanical side tabs.) We also include a nice soft-touch knob with an arrow in it, fits perfectly and looks great. 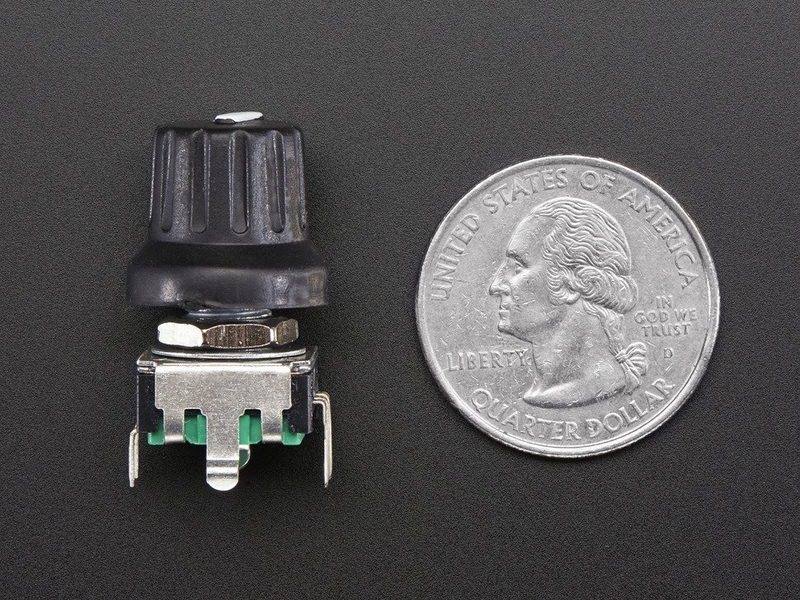 This encoder also has a push-button built into it so you can press onto the knob to close a separate switch. One side has a 3 pin connector (ground and two coding pins) and the other side has two pins for a normally-open switch. Rotary encoders are useful as rotation sensors or selectors and look similar to potentiometers. 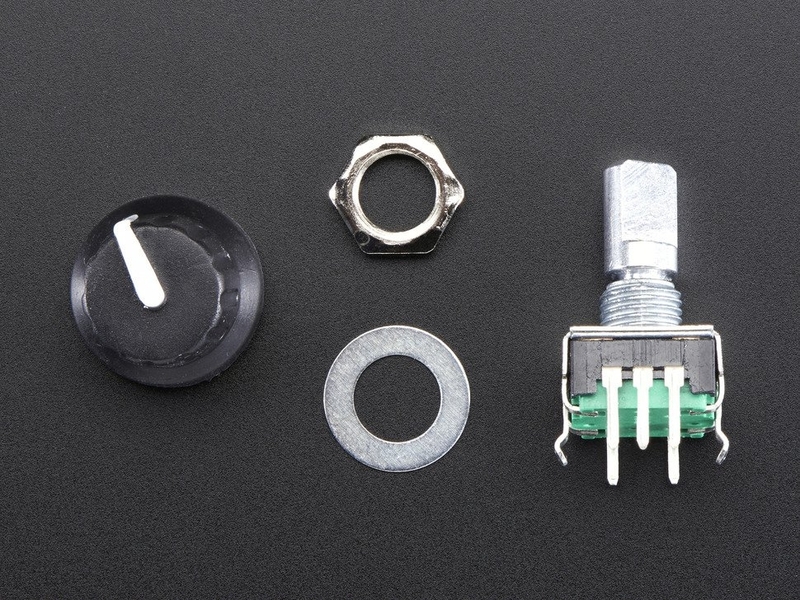 However they are not like potentiometers at all, so it's important to realize the difference! These rotary encoders rotate all the way around continuously, and are divided up into 24 'segments'. Each segment has a click-y feeling to it, and each movement clockwise or counter-clockwise causes the two switches to open and close. There is no way to know what the current 'position' is - instead you would use a microcontroller to count how many 'clicks' left or right it has been turned. If you need to detect rotational 'position' a potentiometer would be a better choice.